Queen’s University has launched a new part-time and full time MBA programme in response to the increasing demand from employers for MBA and business school graduates. Designed and delivered by Queen’s Management School, the MBA is a career development programme for participants with postgraduate and relevant work experience who wish to build on strategic management and leadership expertise, and enhance their employability. Professor Nola Hewitt-Dundas, Head of Queen’s Management School, said: “We are very excited about this new MBA programme as it directly responds to labour market demand and employer requirements. We really feel that we’ve got something that hits the spot in terms of the learning that executives need in today’s business environment. The programme will cover the core MBA topics of strategy, marketing, economics, leadership, entrepreneurship and accounting, alongside a focus on rethinking capitalism, a subject that encourages critical thinking and questioning of the status quo. Anne Clydesdale, Director of the William J. Clinton Leadership Institute at Queen’s, commented: “An MBA is one of the most sought after qualifications that you can have on your CV. This is a prestigious programme and one which produces an invaluable return on investment. Graduates who have completed the International and Executive MBAs at Queen’s are employed in a variety of management roles across the world, including: CEOs, Directors, Business Analysis and Management Consultants, Marketing Managers and Financial Traders. The MBA will be offered on a full-time (one year) and part-time (two year) basis for local, domestic and international students, and the first intake of participants to the part-time cohort will be welcomed in September 2018. Click here for more information on the MBA programme and to apply. Media inquiries to Zara McBrearty at Queen’s University Communications Office on tel: +44 (0)28 9097 3259. 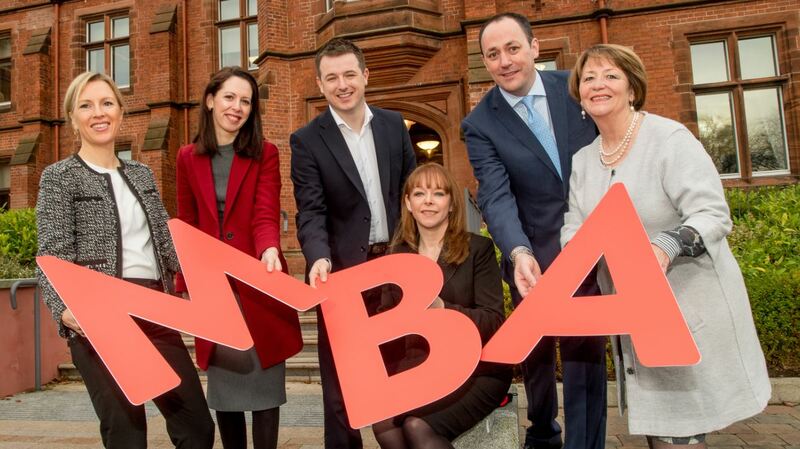 Caption (L-R): Professor Kate Kenny, Programme Director of the MBA and Professor in Management Organisation Studies at Queen's Management School; Irene Breen, Executive MBA at Queen's alumna and Founder of BellaMoon; Richard Kirk; Professor Nola Hewitt-Dundas; Brian Horgan, Executive MBA at Queen's alumnus and Head of Campus Food & Drink at Queen's; and Anne Clydesdale.